Back then, we didn’t have Tumblr or Facebook or Instagram to post photos of our cranky, whiny toddlers and share them with the world, like over at Reasons My Son is Crying. The Tumblr account, created in April by a Rochester, NY, dad of two sons to share his very understandable parenting frustration with friends, has gone viral, attracting frustrated parents everywhere who now submit their own photos and reasons their kids are crying. Hilarious, right? Yeah. Also, no. 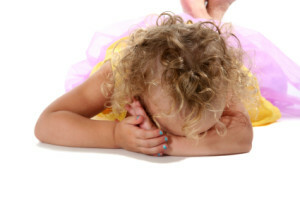 Babbled: Are Photos of Crying Kids Actually Funny? Don’t get me wrong. It is hilarious, especially when you’re spending your days explaining to an irrational toddler why he can’t play with your hot curling iron or lather the cat with peanut butter. But imagine if every time you were sad, mad, or disappointed, someone laughed, pulled out a camera, snapped a photo of you, and posted it online. You’d probably feel like your feelings didn’t matter. Once is bad enough, but every day for, so far, six weeks, is a pattern that can’t be good for the kids. Wow Jen. Thanks for sharing that. It’s exactly why I think that Tumblr is wrong on many levels. Don’t get me wrong: I get the part about how frustrating it is to deal with toddlers. And the reasons are funny — to adults. But it isn’t right to mock kids’ feelings like that. Thanks again for sharing. It’s always good to hear from you here. True story: My mom has not 1 but at least 2 series of pictures of me mid-meltdown. (From 2 very different occasions.) Those photos STILL bring me great pain. I was in pain, for whatever reason at those moments, and she took pictures of it??? Her point, I think, was to try to show me how ridiculous I looked. But while my emotional expression skills may have needed some refinement, the fact is that I felt something strongly in those moments. I needed help, not shaming. I needed someone to understand, not someone essentially whispering in my ear that’s it’s ridiculous to share my feelings. A few yrs ago, those photos got passed around with other old photos at Christmas. To the other ppl in my family, it’s a laugh. To me, it was so painful that walked out of the room. So painful that I have a sinking feeling in my stomach even as I type this. Parents, don’t do it. Respect your children and their feelings instead.